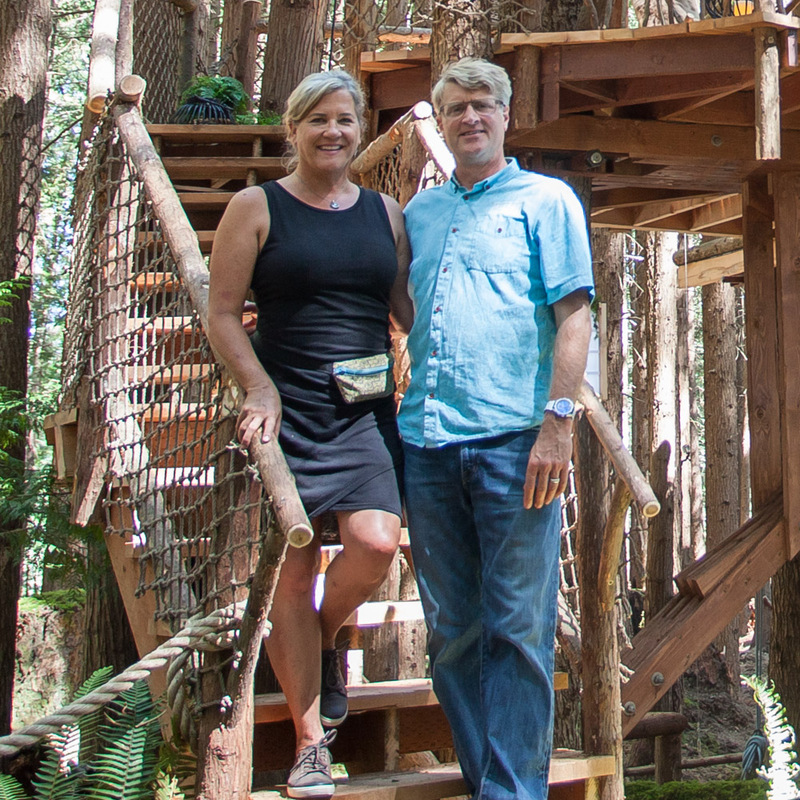 We often hear Treehouse Masters fans lament that they don't get to see as much of the treehouse building process as they'd like. Lament no longer, treehouse friends! Today, we're taking an in-depth, photographic look at the construction of a treehouse that was not featured on TV. This past summer, Nelson Treehouse and Supply had the privilege of building for a family on Orcas Island. The ocean views, tremendous forests, and warm days made for a very happy build. Shane Robinson, a talented carpenter and photographer on the Nelson Treehouse and Supply team, spent the summer living on the island. Luckily for us, Shane documented the treehouse build from start to finish. Today we're sharing Part I of Shane's treehouse photo log, which showcases the Nelson Treehouse construction process. Stay tuned for Part II, coming next week, with beauty pics of the final product. Join us as we take a look behind the build on Orcas Island! All photos are courtesy of the multi-talented Shane Robinson. Make sure to follow Shane's Instagram adventures at @shanecrobinson and with #treehouselog! These two enormous Doug firs provide excellent supports and our foundation for the treehouse. Preparations for the platform are underway. Chuck demonstrates his awe-inspiring TAB installation skills as he drills into one Doug fir with laser line accuracy. In addition to TABs, a steel structure consisting of beams and knee braces was installed to support the weight of the treehouse. Treehouse construction requires many talents, including climbing and belaying. It also demands an absence of fear... at least of heights. Orcas Island in all its sunset glamour. When they weren't building, Shane and other members of the crew explored the island, hiking to mountain lakes, swimming, and fishing. What a way to spend a Pacific Northwestern summer! The front of the deck was designed to curve, creating the appearance of radiating outward from the treehouse. Daryl was the main mind behind the design; find out more about Daryl's inspiration in his recent blog post. Like we said, a healthy dose of daring is needed to build treehouses! Like most Nelson Treehouse and Supply builds, the walls (and more) for this treehouse were prefabricated in the shop and assembled on site. It takes some careful measurements and math to ensure that prefabricated pieces fit together this well! Future treehouse builders observe the process. The skeleton of the treehouse is mostly complete. Among the things left to do: install custom built-ins including a Redwood bartop and murphy bed, and plumb the struture to allow for a half bath and kitchenette. The stairs are made from cedar, which will also cover the facade as siding. The interior will be clad in pine. Shane in his natural habitat.